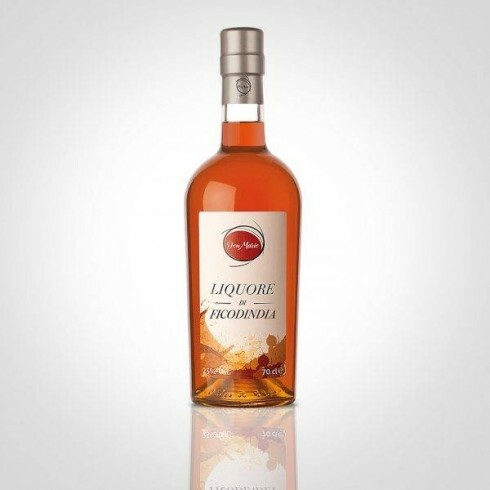 Liquore di Ficodindia - Don Mario – prickly pear on offer | Saporidoc UK. The Liquore di Ficodindia from Don Mario is a beautiful amber sweet natural Sicilian liqueur made from prickly pear juice. A unique liqueur made from a selection of the wild growing prickly pear, which you will find all over Sicily. Don Mario has developed an excellent recipe giving this liqueur a lovely taste from the union between the alcohol, sugar and the prickly pear juice. Pairs with Recommended with a candied cakes. Service temperature 5-7°C. Ingredients Water, alcohol, sugar, prickly pear juice (50%). The Liquore di Ficodindia is made by Don Mario based in Santa Venerina outside of Catania on the eastern slopes of Mount Etna. This Liquore di Ficodindia has a voluptuous and dense consistency. Made from wild growing Sicilian prickly pears Don Mario promises a great tasting experience drinking this real Sicilian liqueur, which he says has a taste including the spirit of Sicily. 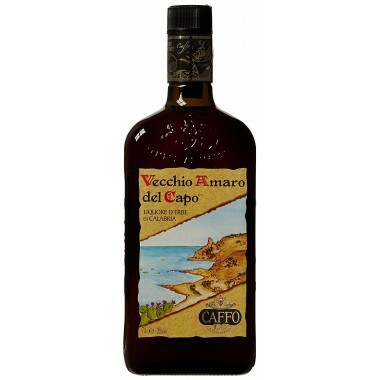 Il Vecchio Amaro del Capo from the famous Calabrian Distilleria Caffo. A herb based liqueur based on an ancient Calabrese recipe improved by the Caffo family. 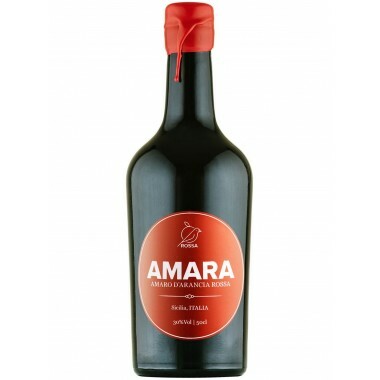 The Amara from Rossa is a red Sicilian liquor made with the famous red oranges growing between Catania and the Etna vulcano. From the union of red orange peels and aromatic herbs comes a natural digestive herb liqueur, with great flavors and Mediterranean colours. The Amaro Della Compagnia from Sicilian winemaker Florio is a golden Sicilian herb liqueur made from a secret recipe including a blend of 13 ingredients among which herbs, roots, fruit peels from Sicilian oranges and spices. 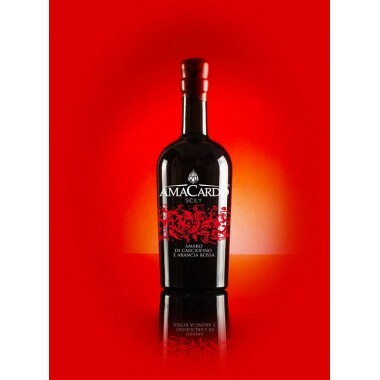 The Amaro di Carciofino Selvatico Dell’ Etna from Amacardo Sicily is an amber bitter-sweet Sicilian natural Amaro made from wild artichokes harvested on the eastern slopes of the Etna volcano. An amaro that will surprise with its flavoursome sweetness. The liquor with intense emotions of Sicily itself. The Amaro 69 alle Mandorle from Don Mario is a tasty amber sweet natural Sicilian digestive made with Sicilian almonds infused with aromatic herbs and cinnamon. Amaro 69 is the result of an ancient secret recipe and made using only the best Sicilian almonds. The Crema di Liquore al Cioccolato from Don Mario is a tasty dark brown sweet natural Sicilian creamy liqueur made with Sicily’s most famous chocolate from Modica infused with cocoa aromas and natural flavours. Crema di Liquore al Cioccolato is embellished with chocolate chips and has a sweet and round taste. 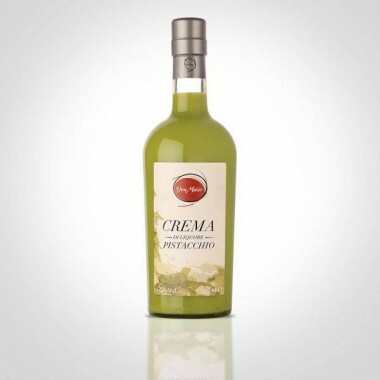 The Crema di Liquore al Pistacchio from Don Mario is a beautiful peargreen sweet natural Sicilian creamy liqueur made with the best Sicilian pistachios from Bronte grown on the western slopes of Mount Etna. 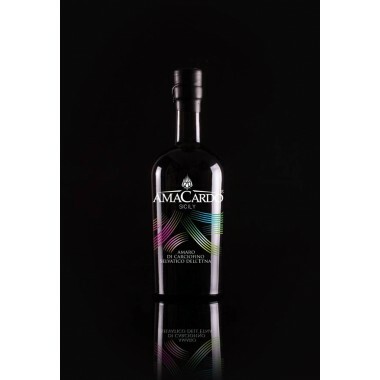 This liqueur comes from the union between the Green Gold of Sicily (pistachios) and the sweetness of the cream. 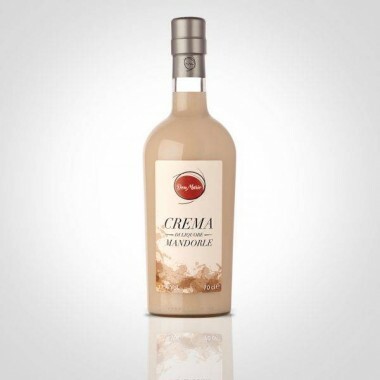 The Crema di Liquore alle Mandorle from Don Mario is a beautiful beige sweet natural Sicilian creamy liqueur made with the best Sicilian almonds. The lovely taste of the liqueur comes from the union between the sweetness of the milk and the bitterness of the almonds. The Liquore alla Cannella from Don Mario is a beautiful cinnamon coloured sweet natural Sicilian digestive made with the infusion of cinnamon into alcohol. The aroma is intense and the taste is soft and delicate. The lovely taste of the liqueur comes from the elegant union of the cinnamon with alcohol and selected natural flavours. 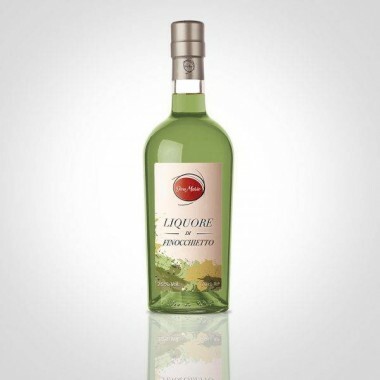 The Liquore di Finocchietto from Don Mario is a beautiful greenish sweet natural Sicilian liqueur made from fennel juice. A unique liqueur made from a selection of fennel, which you will find all over Sicily. Don Mario has developed an excellent recipe giving this liqueur a lovely taste from the union between the alcohol, sugar and the fennel juice. The Amaro di Arancia e Carciofino Selvatico Dell’Etna from Amacardo Sicily is an amber bitter-sweet Sicilian natural Amaro made from wild artichokes and red orange peel harvested on the eastern slopes of the Etna volcano. An amaro that will surprise with its flavoursome sweetness. The liqueur with intense emotions of Sicily itself.